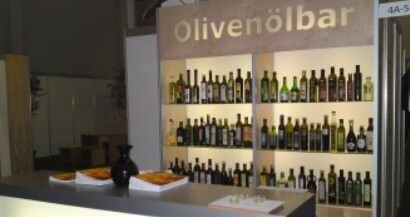 Cultural heritage - historical - architecture - religious - Gastronomy - Wine and Olive Oil . Travel time (expected): 25 minutes. 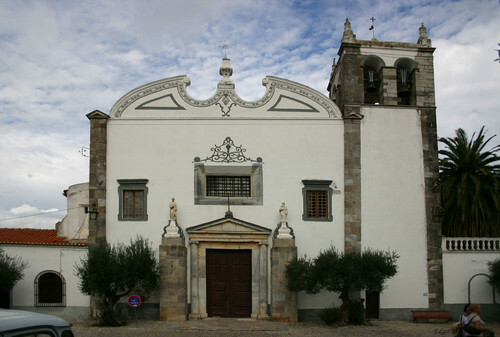 Serpa is located in the Alentejo, in the district of Beja, on the left bank of the Guadiana River, occupying an area of 1106.5 km2, distributed by 7 parishes (Brinches, Sinks, S. Salvador, Santa Maria, Vargo Valley, Village new São Bento and Vila Verde Ficalho). Distance from the headquarters district about 30 km, serving as a border for your region the Guadiana River to the west, the river Chança in this, and the municipalities of Moura, north, and Mértola to the south. While administrative unit, the county dating back to the 13th century, not finding the maxima correspond with any social unity, political, economic, cultural, and legal prior period. Therefore, the structural framework of previous populations to the formation of the county, whatever the parameter used as a reference, do not understand the rigidity of these limits. Outside any legal or administrative context, the analysis of stand structure, limited to this space, has to be done in a multiplicity of factors in which the geomorphology and resources play a key role. Set inside the Alentejo, the Serpa municipality fits the vast surface of flattened land, characteristic element of relief of Southern Portugal. This monotonous plain, generally well preserved, sometimes slow rejuvenation way, becomes a ripple blanket. The characteristic of this peneplain soils are, overall, profound derived from basaltic rock of gabbro, diorite complex Beja region rich in phosphorus containing high proportions of clay - the pottery - and therefore high productivity. Looking in more detail However, we can individualize the county three distinct geomorphological spaces. The first, corresponding to the clays of land, involves the city and its immediate term; the second, comprising wavy deformations of thin, schist soil, called Sierra de Serpa, south of the county between the Guadiana river and the river Chança and the third-defined residual relief consists of three parallel ridges of metamorphic limestone with NNW-SSE orientation hiercínica, extending from the border, reaching a maximum altitude of 518 meters in the Sierra de Ficalho. The Guadiana river is presented as the most important water line of the county. However, his bed deeply embedded in the landscape, about 100 meters below the average level of relief, creates on its banks craggy hilltops and difficult to access. Its location on the west end of the county makes its structuring water line of paper if pales compared to its main tributaries, alongside the banks of the Enxoé, furrow good of this land. But while lanes of products, the river played a key role in structuring the proto-historic settlement. With regard to natural resources, although with agriculture and related sectors main activity seems to be certain that the people here existing in direct seniority or indirectly accessed ores in the region. Not recognizing this area deposits of similar importance to those a little further south are located, may, however, be distinguished on the left bank of the Guadiana three mining regions. The first, covering the mountains of Ficalho, Adiça and laziness, part iron mines, copper, zinc and galenas argentíferas; the second, in the region of Barrancos, comprises copper mines; the third, situated between Mértola and the Chança river, falls lead mines, copper and manganese. Until a recent time was labored on the iron mines of Oratory, which may also have been exploited in antiquity. The early human occupation of their site dates back to prehistoric times, later Romanized, when he was called Serpa, living with the road connecting Beja south of Hispania. It is believed that here has been a Roman fort with the function to protect this stretch of the route. With the fall of the Roman Empire, met the presence of Alans and Vandals, when settled in Baetica, the Swabians, when it expanded to the South, and more lasting, the Visigoths, successful, from the eighth century by Muslims, that the fortified. At the time of the Christian Reconquest of the Iberian peninsula, the town and its castle were first conquered or by troops under the command of D. Afonso Henriques (1112-1185) or by the group under the command Geraldo No-Awe in raid promoted in 1166 the territory beyond the river Guadiana. He returned to the Muslim possession when the great offensive Almohad Abu Yusuf Ya'qub al-Mansur to the river Tagus (1191), when Christians remained in power only of Évora, in the Alentejo. Later, the forces of King Sancho II recover these lands, with Serpa won in 1232 and its areas delivered to Ferdinand, brother of the sovereign. Two decades later, with D. Afonso III (1248-1279) completed the conquest of the Algarve, Alfonso X of Castile challenged it legally these areas. The Serpa domain and land beyond the river Guadiana also formed part of this dispute, having been transferred to the Castilian monarch in 1271. The dispute ended only in 1283, with the transfer of these to Queen Beatrix, daughter of Afonso X, widow of King Afonso III and the mother of King D. Dinis (1279-1325). With the rectification of the border, under the reign of this, the village received its first Foral (1295), with the same privileges to the residents of Évora, a time that began the reconstruction of old Muslim fortification, taking advantage of part of the primitive mud walls. To this end, the Order of Avis made a donation of one third of the income of the churches of Moura and Serpa to "remake and food of Alcaceres of said castles" (1320). Rui de Pina, in the Chronicle of D. Dinis, says Serpa between the villages whose "Alcaceres and castles made of foundation." At the time of the 1383-1385 crisis, the town and its castle sided by the Master of Avis, having served as a base for Portuguese troops in several incursions into Spanish territory. In the Cortes of 1455, the Serpa inhabitants contended that for the population decline of the remedy, caused by wars and pestilences, D. Afonso V (1438-1481) grant to future residents the exemption privilege, almost full for twenty years of military or municipal services. The sovereign, however, limited that concession to foreign and reduced to ten years, the term originally claimed. Under the reign of King Manuel I (1495-1521), Serpa and his castle are figured by Duarte de Armas (Book of Fortresses, 1509 c.), Where it can be appreciated the size of dionisina work: a castle with the supported by walls and turrets of cylindrical square plan, dominated by an impressive keep; at his feet, the village surrounded by a double wall also reinforced by towers. The sovereign granted the Foral New to the village in 1513, and awarded the domain of the village and its castle to his son, Prince Louis, Duke of Beja. The castle stands in the center of the village, the two hundred and thirty meters above the sea level. At the highest level, by the wall on the north deploys to fortress, of square plan. About the village has oval plant, reinforced by turrets and square and semicircular plant towers, topped by merlons prismatic. 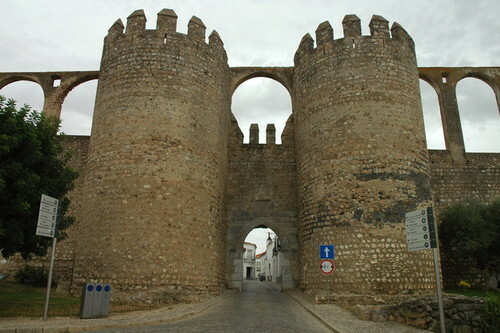 It was originally tore three monumental gates (Moura Gate, northeast, Beja Port, northwest and Seville port south, the latter now defunct) flanked by two beveled round towers, these merlons with pentagonal shot. 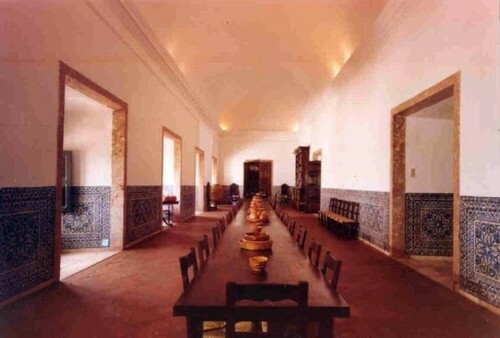 The west cloth of the walls is topped by an aqueduct based on arcade go round, joining the Counts of Palace Ficalho, on the north side and a giant daughter based on a well, next to the southeast angle, built in the seventeenth century to supply the palace. In period opened the Door of Corredoura and the New Port. The wall of the fortress is reinforced by the Keep, of square plan, adjoining south cloth, is left aside less; by a semicircular plant cubelo the same side and a rectangular plan tower in the southeast corner, next to which is still visible part of the Barbican involved. There is installed the Archaeological Museum of Serpa, exposing the evidence recovered in County region, the Paleolithic, Neolithic, of the Metal Age and Roman times. In the square border to the Church of Santa Maria (old Muslim Mosque) stands the so-called Clock Tower, of square plan, where stands the bell, with tapered shot of pinnacles surrounded by merlons bevelled. Trace the fence of the village, was transformed into watch in 1440, becoming the third watch tower oldest in the country. Inserted into the cloth of the walls is part of the Counts of Palace Ficalho in mannerist style, initiated by D. Francisco de Melo, Captain-General of Serpa in the late 17th century and continued by his sons, Pedro de Melo, governor of the Province of Rio de Janeiro (1662-1666), and Martin D. António de Melo, bishop of Guarda. In Serpa and the local parishes, the kitchen lies in its quality and refinement plight of quilting. Its excellent bread the fundamental basis that came in line tasty, the lamb meat and pork, as well as game such as rabbit, hare, partridge and wild boar. The all joins a thorough range of spices: olive oil, lard and herbs such as parsley, mint, coriander, pennyroyal, mint river, oregano, among others. This apparent simplicity of means, result the traditional dishes of the region as the "migas", the "bread soup", the "lamb to the shepherd", the "washed" (cold tomato soup stepped), the "gazpacho" (here called "vinagrada"), the "masmarras" (Pope hot bread and garlic), the "beans with garlic and bay", the "beating-dumb" (at the time of the pig slaughter), the "fish stews river" . There is also the stress two natural products of spontaneous and rare taste creation: asparagus, which can be harvested in the plain olive groves, and mushrooms, caught in the wild area of the Sierra. 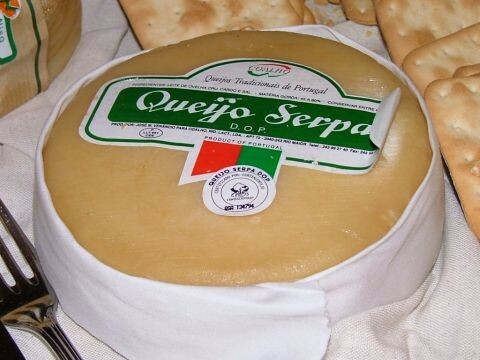 Offers Serpa as desserts, fruit and sweets. Fruit is necessary to distinguish the melons, remarkable flavor, given the generosity of the soil and climate conditions. And in the sweet curd tart. The compose the letter of delicacies should not forget the good local wines, that are distinguished the red, full-bodied, dark in color and smooth taste, awarded at national level. Is thus constituted the framework can lead the visitor to enjoy the pleasure of eating well; act of culture here dignifies the originality of confection and quality of products. With almost 40 years of existence the Agricultural Society of Pias produces all its wines from grapes harvested on his farm. 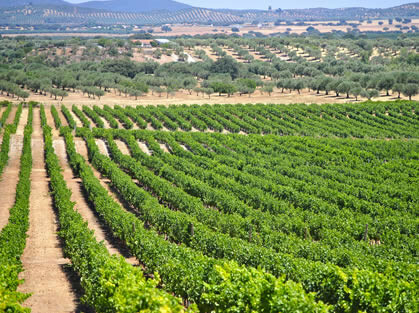 The estate has about 800 ha being occupied almost entirely by vineyards and olive groves. In addition to the "Margaça" wine, "ASPIAS", "Pulo do Lobo" and "Slopes of Enxoé" still produce oil in Virgin and Extra Virgin categories "Slopes of Enxoé". Monte Medeiros is the result of passion and determination of its owner, António Agostinho Marques Key Figueira, who after visiting the region of Serpa-Pias decided to completely change his life by selling their business in Lisbon to devote to planting vineyard. Located in a famous wine producing region, this region of Moura not only has the ideal climate and soil, it is also a sanctuary for various animal species. Your whole family is dedicated not only to produce the best wine possible but not bother to maintain the natural and wild side of the site. In its two dams can catch various fish and find a wide variety of birds. This was rebuilt a ruin with more than 200 years, which makes it unique. Its construction was made with the highest esteem to save this treasure of grapes, but never abandoning the original design. During the harvest, the grapes are picked by hand, selected and transported in small boxes directly to the tanks. During this fermentation process the temperature is controlled by hot water showers. The wine rests in French oak barrels in order to gain structure and body without losing personality and identity. The company is run by the Swiss families Bernhard and Zehnder, who bought the property at the time of 92 hectares in 2000 and began in 2002 with the olive cultivation. From the beginning, the aim was to cultivate the olive grove in accordance with the rules of organic farming, for which the conditions in the Alentejo region are great. In 2003 the mill was built to be able to transform the olives produced. Built a large building to the mill, oil storage and packaging. In 2005 were planted about 22 hectares of new olive grove. In 2007 Andreas Bernhard, Alfred Zehnder and Ralph Mäder founded the company SCRATCHES BIG Lda. In 2008, the property began conversion to biodynamic agriculture. And in 2009 reached the biodynamic certification "Demeter". To ensure high product quality, the processes of BIG SCRATCHES are certificates by the BRC-GSFS since December 2009.